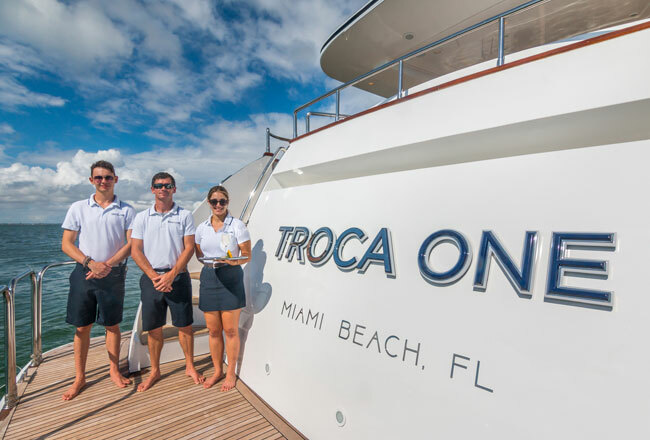 Our brokers and staff will know every aspect of your yacht and crew. Being selective about the number of yachts in our fleet will ensure personalized service and that every qualified inquiry gets to her. Denison is committed to getting our clients’ yachts attention through various marketing strategies, from a consistent search engine optimization (SEO) plan to MLS marketing and email campaigns. Work closely with the owner and captain to develop a marketing campaign to maximize exposure and bookings. Quickly respond to charter inquiries and negotiate rates according to the owner’s instructions. Provide sample itineraries and marketing tools to assist the retail charter broker in making the sale. Prepare contract details, approve contract, communicate confirmation of charter and obtain owner signed contract. Collect and disburse charter funds according to the contract with Denison Yachting as stakeholder.